"Hungry yet? Try ragù the @juliamoskin way. 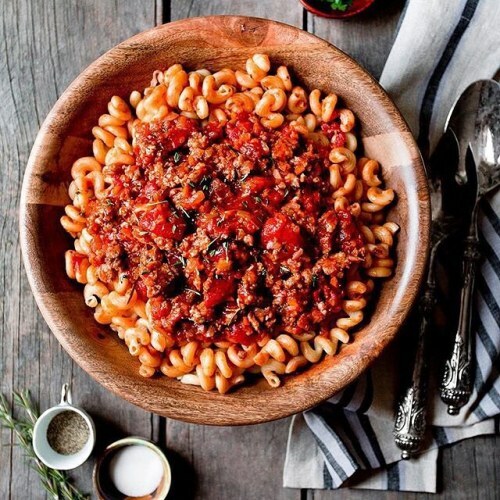 Real Italian meat sauce — the kind with rich taste and velvety texture — is not hard to make. "It just needs a long time and a low flame." Photo by @rikkisnyder. Follow @nytfood to see more like this. #NYTCooking #🍝 #🍅" By nytimes on Instagram.